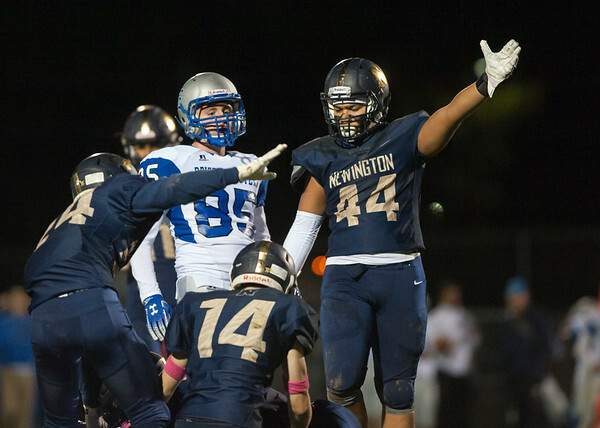 NEWINGTON - It’s another season and another wild-card matchup in Week 1 for the Newington football team. Like last year, the Indians will open their season against a team they have never played before. In 2016 it was against Massachusetts' Chicopee High School. Tonight, it will be against Amistad High School from New Haven, which will play its first full varsity schedule this year. “We know what their record was and some of the teams they played, but we don’t have a ton of information on them,” Indians’ second-year head coach Jason Pace said. The Wolves finished 2017 with a 1-2 varsity record. During the 2016 season and a majority of 2017, Amistad played at the JV level. Last year, the Wolves beat Vinal Tech before losing to Long Island Lutheran and Chaney Tech. The Indians have seen some film, and picked out a few key players to watch out for, but other than that Amistad will be quite the mystery, until it is on the field. Defensively, Amistad will have to replace seven starters on defense, but has key players in safety Tyrone Moye and outside linebacker Jose Serrano returning. Both played well in the team’s three varsity games. Although Newington doesn’t know much about its opponent, and it usually likes to prepare a bit more before a game, the Indians are leaning their focus on coming together as a football program. Pace is looking forward to a game setting. He will then be able to gauge where him and his team are skillswise. But as the Indians take the field tonight, one player who was expected to make an impact will not be joining them. For the second year now, linebacker Brandon Kamansky suffered a season-ending ACL injury. Kamansky will be a huge loss for Newington, especially with Amistad appearing to bring back plenty of speed in running backs Jenuyn Harris and Moye, along with wideouts Johnnie McFadden, Michael Fletcher and Serrano. With Kamansky out for the season, Julian Ortiz will be stepping in as linebacker. Posted in New Britain Herald, Newington on Thursday, 6 September 2018 21:12. Updated: Thursday, 6 September 2018 21:14.